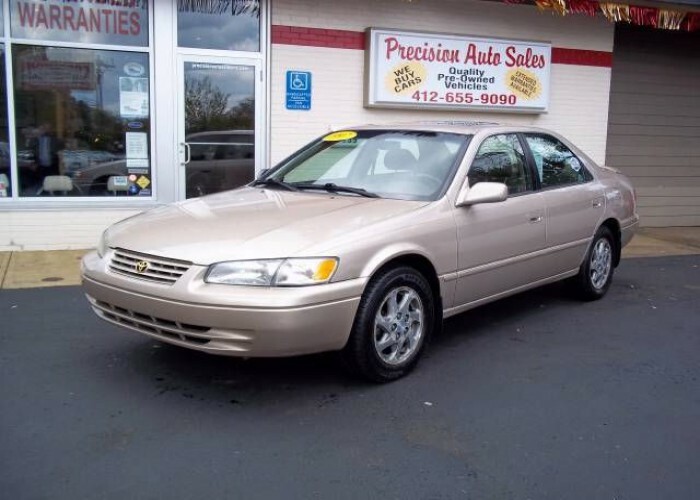 It’s a safe bet that at some point in most of our lives, we’ll find ourselves shopping for a used car. 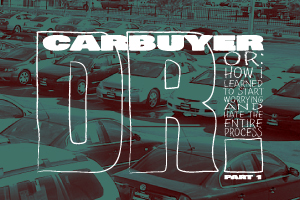 I just completed this process, in fact, and I admittedly may have made it a wee bit more arduously complicated than necessary, but with the sole intention of purchasing a quality vehicle at a fair price. So, I figured I would share the self-inflicted complications with you, in the hopes that it may be informative, inspiring, or if nothing else, something for you to shake your head at in amazement, disbelief, and pity. 1st Car: 1979 Chevy Malibu Classic, inherited from my Grandpa. A sweet tan dream. Bench seats, lap belts, AM radio only, and the back windows didn’t roll down. Carburetor issues rendered it unreliable for the AM school commute. 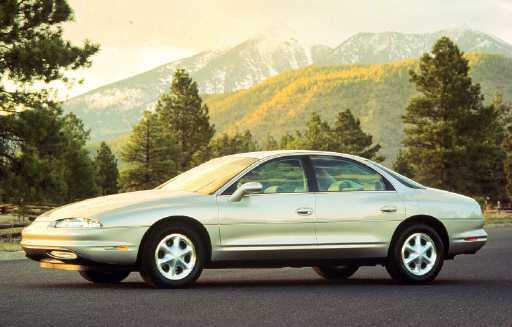 2nd Car: 1995 Oldsmobile Aurora that I bought from a friend’s dad’s dealership, fully trusting that I was getting a good deal. Way more luxurious than I deserved, and it proved to be too expensive for a college student, both in insurance cost and maintenance. 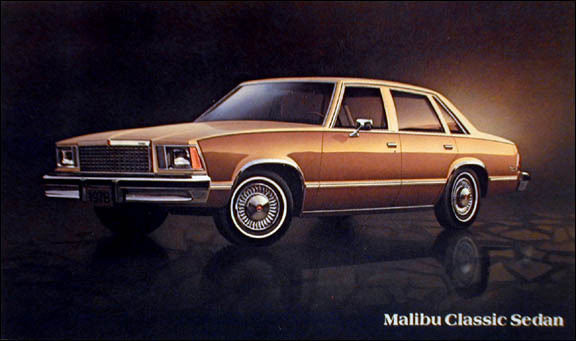 I loved that car though – sunroof, leather, pretty advanced computer… I thought it was totally baller at the time (probably explains all the dumb things I did in it), and it’s recent resurgence as a popular “whip” confirms that I was, indeed, streets ahead. 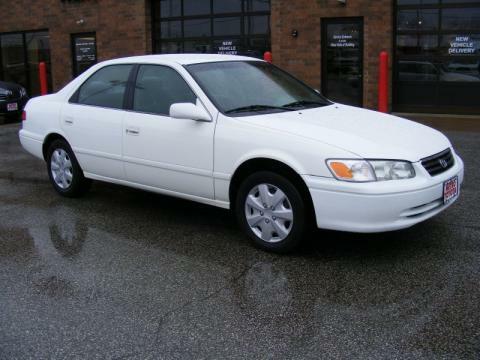 3rd Car: 1997 Toyota Camry that Mom bought mostly with money she got from selling my Aurora for me. 4th Car: 2001 Toyota Camry that I bought from a dealer that I was referred to by a friend of my boss who managed the service department. I took my friend Dan with me to help in negotiating/evaluation/decision-making, and walked away with what I felt like was a good deal based on their sticker price and willingness to throw in a sunroof install (more on that later), but I had done zero research, so I really had nothing to base this contentment on, other than the fact that I had a working car again. I promptly drove it way too fast. For those of you who know me well, it’s no secret that any large purchase in my life involves research, and usually, spreadsheets. I attribute this to a combination of a love of statistics, and a fear of the “purchase regret” (the late-arriving cousin to “buyer’s remorse”) that might come after realizing what I bought was really a piece of junk, or that I simply missed out on something better. Then it was just a matter of compiling a list of vehicles that approached some or all of those priorities, and we knew going in that they would all be SUVs or “crossovers”, so the search didn’t branch out beyond that body style. I looked on a few different sites, but zeroed in on a handful that were good sources of comprehensive data: U.S. News, The Car Connection, Edmunds, MSN Autos, and J.D. Power. A few of the sites let you search with filters for some of the above criteria, so that can make the list creation pretty easy. 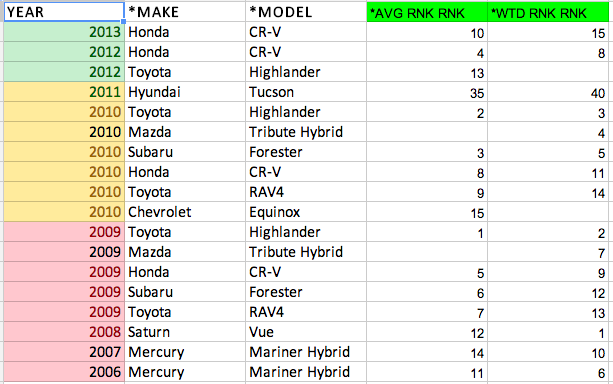 As I perused, I kept dropping Year/Make/Model options into a spreadsheet, and once I felt like I had plenty of options to research, I started the exacting process of entering the data. Following those are columns for Passenger Capacity and Volume, a column calculating Volume Per Passenger, Cargo Volume, and Max. Cargo Volume (with all foldable seats down). The next sheet I created (in the same document) was for the ratings the various sites gave each vehicle in the specific categories of Safety, Reliability, Quality/Dependability (for the sake of integration, I made these terms interchangeable – not very scientific, I know), and Performance. Then I created columns to average the values from each of the sites within each of the specific categories. As you can see, there are a lot of gray cells indicating unavailable data. Some sites just didn’t have ratings on a lot of vehicles for certain attributes. The next sheet I created (again, in the same document) contained the same first three columns as the last two sheets (Make, Model, Year), but then had a column for each of the averaged categories in the two previous sheets. Using a combination of the “RANK” formula and “Sheet#!” label (for example, “=RANK(Sheet1!F2,Sheet1!$F$2:$F$70,1)”), I converted all of the averaged values into a rank for that vehicle in each particular category. Then – and stick with me, here – I averaged the rankings (example: “=IFERROR(AVERAGE(D2:M2))” – the “IFERROR” command came in handy for the empty cells), and then ranked the averages (example: “=IFERROR(RANK(N2,$N$2:$N$70,1))”). In case your mind is mush after reading that, here’s what that told me: The 2011 GMC Terrain, for instance, had an average ranking of 29.2, meaning that it averaged a ranking of 29th across all the categories, compared to the other SUVs. To put it into even clearer perspective, that average ranking of 29.2 was the 26th highest average ranking among all the SUVs. But that doesn’t really take into account which attributes (or categories) are most important to us. To do that, I weighted each category in order of importance by multiplying each category rank on a descending scale of 1.1-1.9 (with the most important categories being multiplied by 1.1, and the least important by 1.9). The formula looked like this: “=D2+(E2*1.1)+(F2*1.2)+(G2*1.3)+(H2*1.4)+(I2*1.5)+(J2*1.6)+(K2*1.7)+(L2*1.8)+(M2*1.9)”. This created what I termed a “Weighted Rank Score”, with the lowest score being the best. You can’t see the column for that because I hid it, since the column to the right is a much more helpful ranking of those scores. 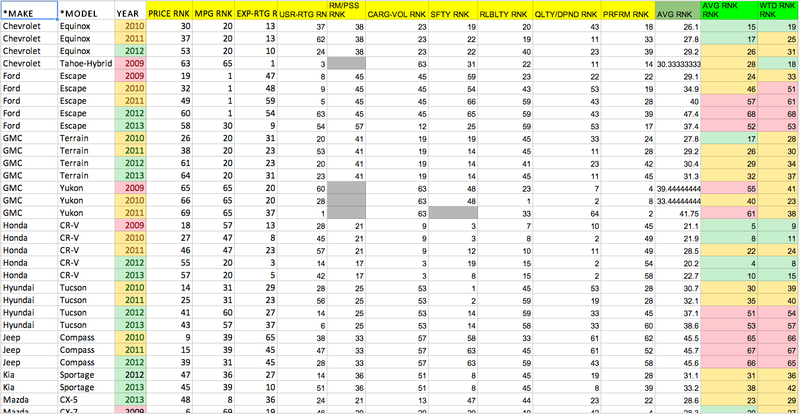 I pulled out the Top 15 of both the straight average rankings, and the weighted average rankings. From these lists it became pretty easy to whittle down the field to the real favorites. The Toyota Highlander listed here is the hybrid model, which in even the older models is still out of our price range. The other hybrid options – the Mazda Tribue, Mercury Mariner, and Saturn Vue hybrids – are impossible to find. That left us to choose between the various years of RAV4, CR-V, Forester, and the 2010 Chevy Equinox. With the RAV4s and CR-Vs ranking higher, my wife liking the the body styles better, and the price being fairly realistic, we decided to zero in on those 2009-2010 models. So that concludes Part 1: Research. I know that was probably really boring for some people (my wife can empathize), and it maybe borders on obsessive tendencies, but hopefully others of you can appreciate the thoroughness of the research, and most importantly (at least to me), really letting the numbers give you a completely objective overall perspective beyond just the general (and sometimes biased) impressions you might get perusing a few ratings sites looking for info on the car you already think you want.